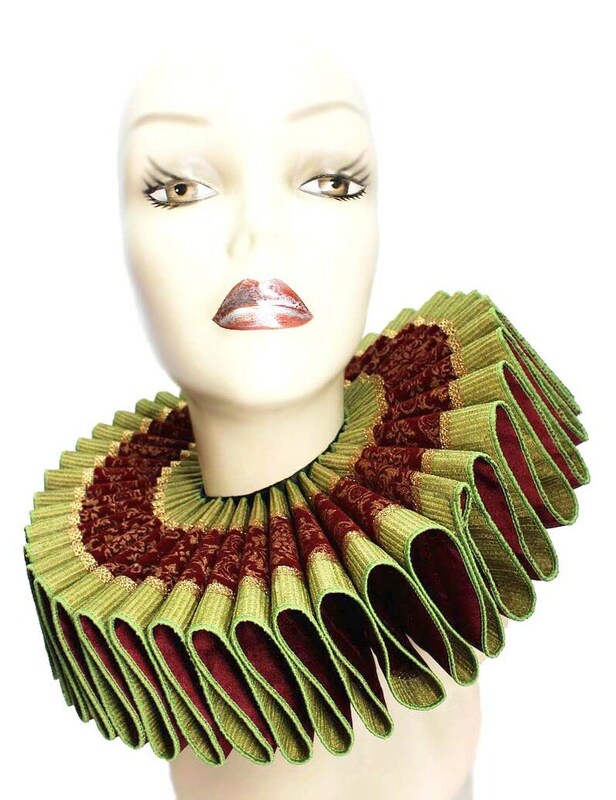 This dramatic tall ruffled collar is created from many yards of gorgeous moss green, cranberry and gold ribbon. 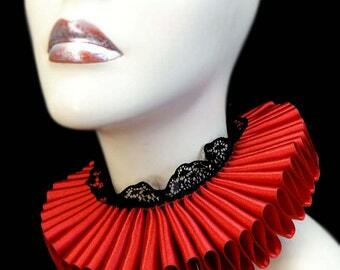 It is lined inside with black satin, and has long cranberry satin ribbon ties at the back. 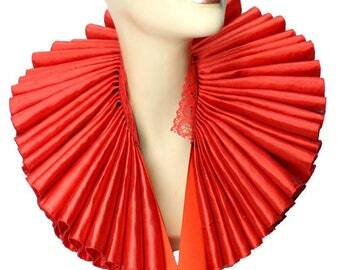 Total length is about 14", stands away from the neck about 4", and ruffles are about 3 1/2" tall. 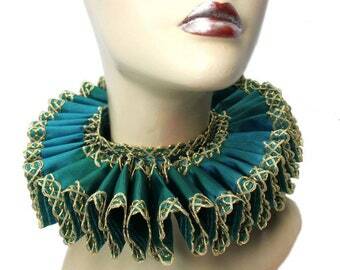 - Has a generous amount of ribbon to tie in a bow at the back. 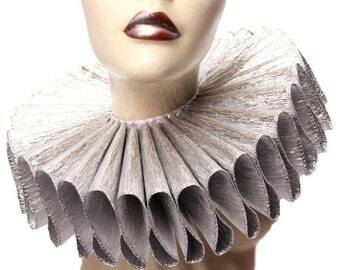 This ruff looks really sturdy and well made. 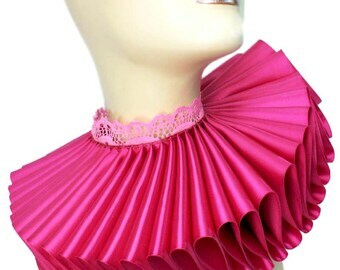 I have a really fat neck so I’m thrilled I found one that fits and I love that I can tie it under my arms to also make a collar if I choose. Everything was perfect and just as expected.